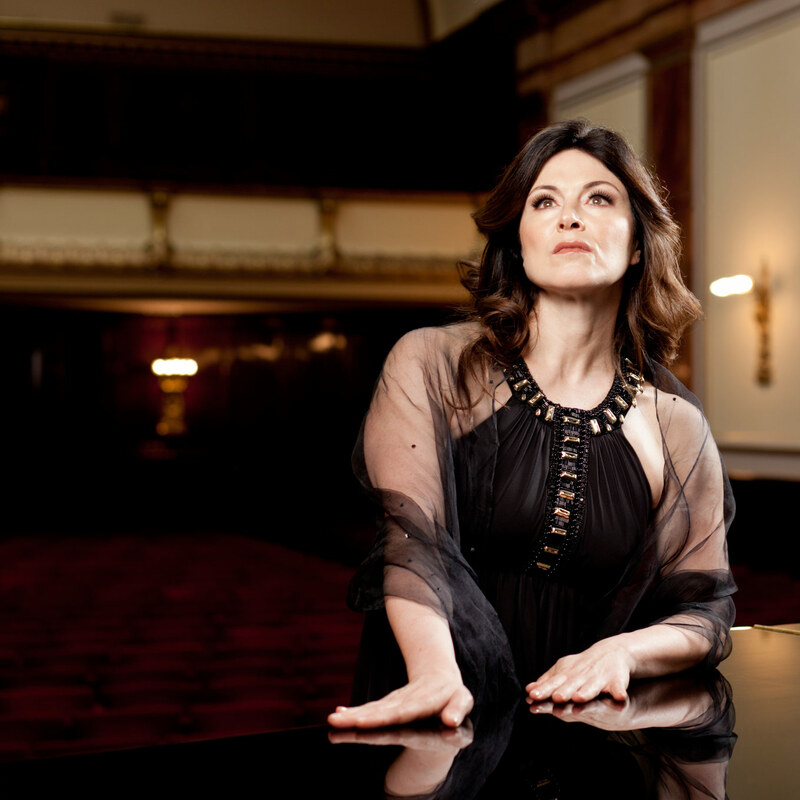 Anna Caterina Antonacci is widely acknowledged as a major artist and her extraordinary vocal timbre and great acting skills have enabled her to perform a vast and varied repertoire in some of the world’s most important theatres. She has scored notable personal success as Cassandre Les Troyens with Sir John Eliot Gardiner at the Théâtre du Châtelet Paris, Incoronazione di Poppea at the Théâtre des Champs Elysées, as well as the title role in Medea in Toulouse, at the Teatro Regio Turin and the Châtelet Paris. Her debut in a new production of Carmen at the Royal Opera House in Covent Garden conducted by Antonio Pappano was a huge triumph and she was a precursor to her return to London as Cassandre Les Troyens at Covent Garden and the BBC Proms. Also revered for her interpretations of Berlioz’ vocal works, performances have included La Mort de Cléopâtre with the Rotterdam Philharmonic conducted by Yannick Nézét-Seguin, with the Hong Kong Philharmonic conducted by John Nelson and with the LPO again with Nézét-Seguin. Anna Caterina has been honoured with the ‘Chevalier de l’Ordre National de la Légion d’honneur’ by the French Republic, which is the highest national distinction one can receive. Her first recording Era la Notte for the Naive label received great acclaim. She has also recorded L’Alba separa dalla luce l’ombra for Wigmore Live, with her pianist Donald Sulzen, featuring songs by Tosti, Cilea, and Hahn.